Do you know Doraemon? Doraemon is one of popular Japanese animes (cartoons) for 48 years, actually when I was little the Doraemon was my favorite and I miss I went to theaters with my dad to see the Doraemon movies every year it was my wonderful memory. 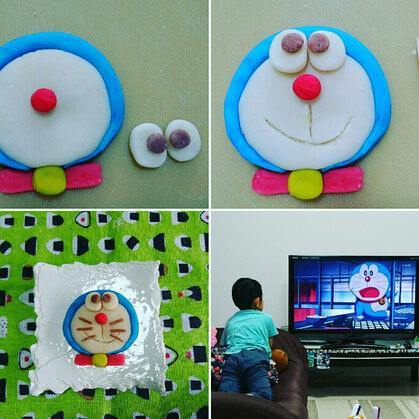 Ofcauce the Doraemon is popular among kids still now so I made Edible Doraemon by while soy beans, it makes my kid happy! !